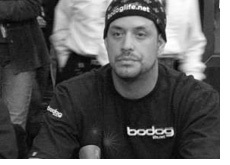 Bodog Poker has made another addition to their line-up of sponsored players by adding the outspoken and brash Jean-Robert Bellande. Bodog continues their tradition of signing young, marketable players to contracts. Bellande will join a line-up that already includes Josh Arieh, David Williams and Evelyn Ng. Bodog also had signed Jamie Gold to a contract at one time, but decided to release the 2006 World Series of Poker champion after they realized just how unpopular Gold was. Bellande may be best known for his appearances on Survivor: China and Poker After Dark. Apparently Survivor: China had been in the market for a professional poker player, first asking Daniel Negreanu and then eventually deciding on Bellande after Negreanu declined. Bellande is deceptively old. You may think by his style of dress and attitude at the table that Bellande is much younger than he actually is. According to Wikipedia, Bellande was born in September of 1970, which would make him 37 years old. "Action Bob" Bellande has nearly $800k in lifetime tournament cashes. He two biggest lifetime cashes were a third place finish for $211k at the 2005 WSOP Circuit Championship event in 2005, and a victory at a $2500 No Limit Hold'em event just a week after at the 2005 "Winnin' o' the Green". Bellande recently came in 39th place at the North American Poker Championships for just over $21k.